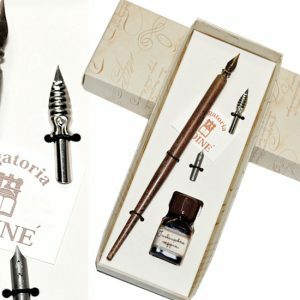 Set 01 -Antique Style Wooden Calligraphy Pen with Nib. 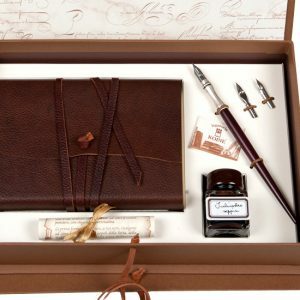 Set 03 – Antique Style Wooden Calligraphy Pen Set with Pen Tray and Engraved Metal Nib. 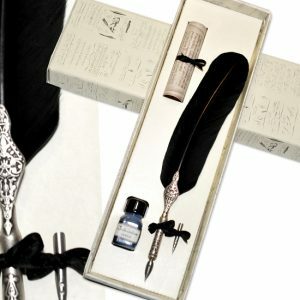 Set 05 – Antique Style Feather Pen Set with Extra Nib. 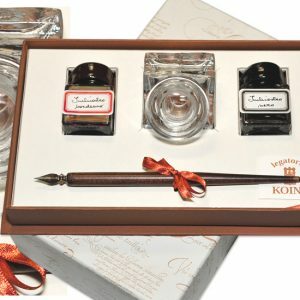 Set 07 – Antique Style Wooden Calligraphy Pen Set with 4 Engraved Metal Nibs and a 50cc Pelikan Glass-metal Ink Pot. 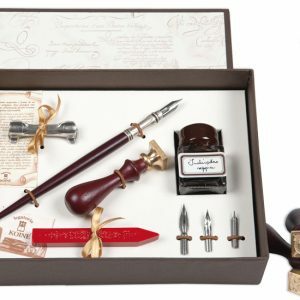 Set 10 – Antique Style Wooden Calligraphy Pen in a presentation box with two bottles of coloured ink. 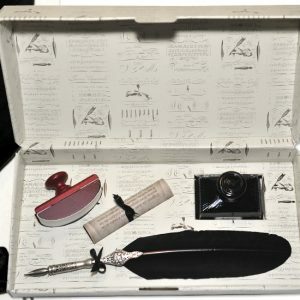 Set 20 – Antique Style Feather Pen Set in a Presentation Box with Decorated Metal Point, Wooden Ink Blotter and a 50cc Bottle of Coloured Ink. 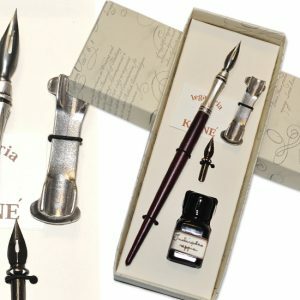 Set 25 – Antique Style Scriptorium Calligraphy Pen Set with Decorated Metal Point, Soft Leather “Medioevalis” Journal, and a 50cc Coloured Ink Pot. 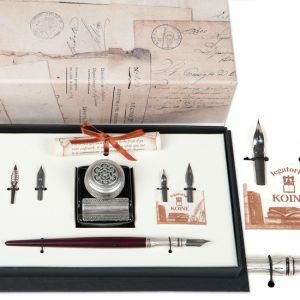 Set 37 – Antique Style Wooden Calligraphy Pen with Decorated Metal Point, in a Presentation Box, with Sealing Wax Stick, Bronze-Wooden Sealing Stamp, Pen Tray and a 50cc Coloured Ink Pot.